Food editors and bloggers are well-respected in the food allergy community. 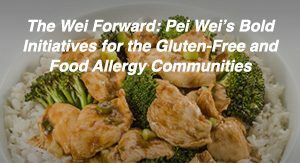 They help us create tasty allergen-free meals for our families and provide helpful tips and ideas about successfully living with food allergies. 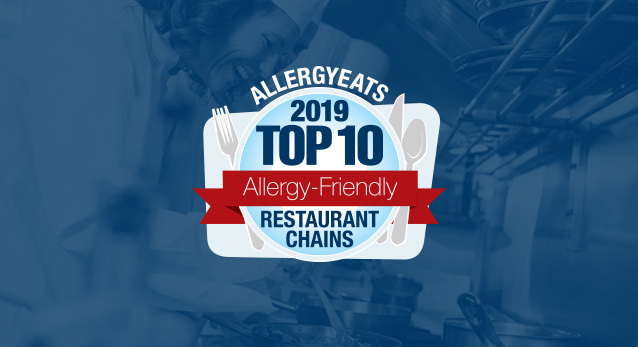 The AllergyEats team was curious to know where food-allergic food editors and bloggers eat when they’re not in the kitchen – what types of restaurants do they prefer, how do they communicate to restaurant staff about their food allergies, etc.? In the coming months, we’ll feature interviews with foodies who have dietary restrictions to get their thoughts on dining out successfully with food allergies and intolerances. 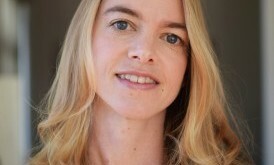 Our first interview is with Alisa Fleming, a dairy-allergic writer and blogger, Founder of GoDairyFree.org – a site that receives more than 2.5 million visitors and 6 million page views per year, Senior Editor at Allergic Living magazine and Author of Go Dairy Free: The Guide and Cookbook for Milk Allergies, Lactose Intolerance, and Casein-Free Living. 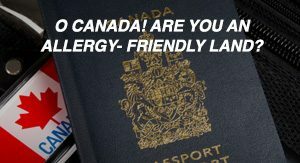 What are your food allergies/restrictions? My only tight restriction is dairy. I was born with a milk allergy. It lessened in severity over time, and now I seem to have a severe eosinophilic esophagitis (EoE) condition (I can’t be tested for this, as it is too risky to add dairy back into my diet enough to test). However, in my household, we also have gluten-free and a few other dietary restrictions, as well. Where do you like to eat out? Which restaurants do you visit regularly? I adore Asian food. We go out to a Vietnamese restaurant almost weekly, and also like to hit up Japanese and Thai on occasion. Though these aren’t necessarily feasible for nut allergies, they offer so many options for dairy-free and even gluten-free. My husband and I also love good street tacos, but they are often elusive! When traveling, we veer toward the familiar: BJ’s Brewhouse and P.F. Chang’s are two that we seek out often. What makes a particular restaurant one of your go-to places to visit? Honestly, we aren’t big fans of chains (except as noted above for travel), and high-end restaurants are more of an occasional novelty. My husband and I prefer authentic international restaurants that focus on the food. This could be anything from a popular hole in the wall to a nice, modern place that is also comfortable for conversation. What city do you live in, and what are your favorite hometown restaurants? Do you have certain things that you do (or ask) in restaurants to make you feel more comfortable dining out with your food allergy? Since I tend to frequent restaurants with limited dairy on the menu, this isn’t typically a big worry. That said, if I have concern, I always check the menu before visiting, and call ahead, if needed, to ask questions. I find that trying to sort things out on the spot is stressful and can lead to more problems. Do you have certain go-to meals that you order? If so, what are they? Right now, I’m addicted to spring rolls – the fresh ones in rice paper wrappers. There is also a wonderful sushi spot nearby with wonderful hand rolls. In more Americanized restaurants, I’ve had a bit of a turkey burger thing for a while now. Chefs tend to season them in various ways (versus beef burgers which are often void of seasoning), and they are usually served with more appealing, wholesome sides. But when a menu looks tricky, I go for the big salads. They are much more transparent and it’s quite easy for a server to verify which salad dressings are dairy-free. Why do you tend to gravitate to Asian restaurants? Though not guaranteed to be safe, Asian restaurants tend to offer so many delicious, naturally dairy-free options. I think that fact is one of the reasons my palate prefers the many flavors of Asian food. Keep in mind, while some Asian restaurants are completely dairy-free, others may have desserts or Americanized dishes with dairy, such as crab Rangoon or sushi rolls with cream cheese. I even came across a Thai place once that used dairy milk rather than coconut milk. I still communicate with the staff rather than assuming that every Asian restaurant can accommodate my diet. Are there certain types of restaurants that you avoid? If so, why? Italian. It’s a land mine for dairy, and simply not worth the trouble. Pasta and cheese-free pizza are so easy to make at home that I see no point in going through the stress only to order spaghetti marinara. Also, Indian food can have many dairy land mines – I rarely eat in Indian restaurants. How do you select restaurants when traveling? If traveling domestically, particularly for business, we stick to restaurants like the ones I mentioned above. 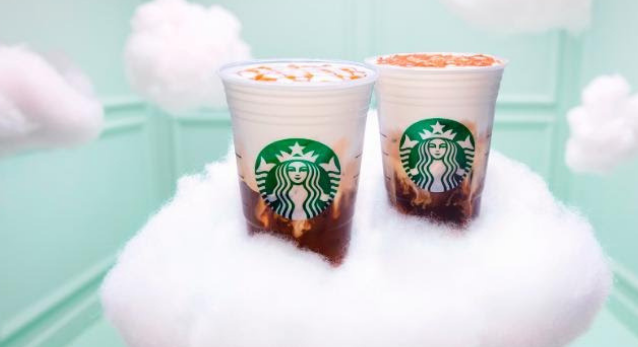 Internationally, it tends to be much easier, since other cultures don’t use nearly as much dairy as in the U.S. and Canada, and more often than not, it’s an “added” ingredient that can easily be removed. In North America, Asian restaurants or chain restaurants that have “light” menus (cream, butter and cheese are often omitted on these selections) are my go-to’s for ease. How has AllergyEats helped you dine out more comfortably? I love that I can use AllergyEats to look in any town for recommendations when traveling. When I’m heading out of town, I check AllergyEats for recommended options. What’s your advice for people with food allergies who want to dine out? Don’t assume that your go-to foods at home are safe in a restaurant. The way chefs cook isn’t the same as in your kitchen. At home, you might simply salt and pepper a steak and throw it on a grill – at a restaurant, they might dust it with a flour or starch and finish it with butter. A simple looking red sauce may have cheese melted in or a hint of cream to temper acidity. To avoid secret surprises, call a restaurant during non-peak times and ask to speak to the chef for clarification on what foods can be made safely for your needs. So what do you think? As always, we welcome and encourage thoughts and feedback on this and other AllergyEats Blog posts using the Comments box below. 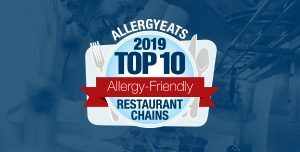 A note to our Blog readers: Did you know that AllergyEats is the leading guide to dining out with food allergies and intolerances in the U.S.? 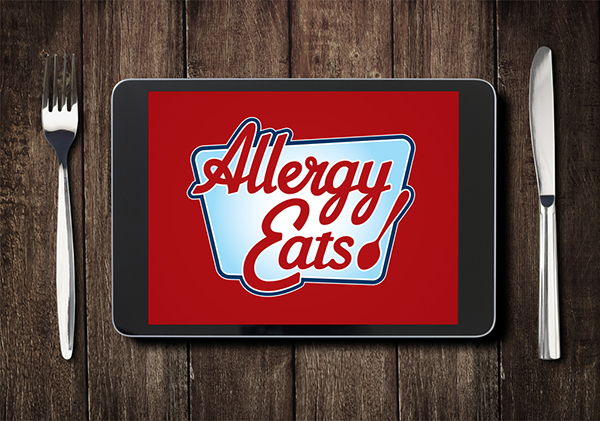 We can be easily accessed via our smartphone app or website, www.allergyeats.com. To find a restaurant, simply select your allergens and search by town/state to see how the food allergic community has rated restaurants in that area. Please take a minute to add your own restaurant ratings. Each new rating helps make AllergyEats a more valuable tool for our community. Thanks for those good points. I eat gluten free, and I tend to go for Asian or Mexican (dairy is not an issue). I avoid Italian and chains, partly because it’s too hard to get something other than a salad to eat (honestly, is it that big a deal to keep a couple of boxes of gluten free pasta in the kitchen? ), and partly because I’ve been disappointed in most chains. My go-to for traveling is Chipotle. It’s completely transparent – they make it right in front of me – and it’s always fresh and good. They’re pretty well versed in food issues, too. Besides, for under $10, I end up with two full meals worth. In Asian restaurants, you have to be careful about anything breaded or with a sauce. Traditionally, it should be cornstarch, but some restaurants use wheat flour, and there’s too often some confusion in the language. I prefer to order sauceless and be safe, unless it’s a known and trusted restaurant. Vegan Asian is the worst; they rely too heavily on gluten products to mimic meat. I just never eat out and only do if I have too! Having Celiac and a soy allergy, as well as being dairy, egg, and meat free, things can be a bit tricky! Italian is a tough one, isn’t it! Plus, so easy to make at home I think we both agree! Ah yes, Chipotle, that is a favorite, for me, too. Asian is definitely trickier for gluten-free. It’s great to hear how you handle eating out. My son is dairy anaphylactic, and he also tends to eat a lot of Asian food, quite a bit of Vietnamese (pho) also). I’m curious what you order at B.J.’s Brewhouse. My son has never eaten there, it would be nice to know what your experience is with them. 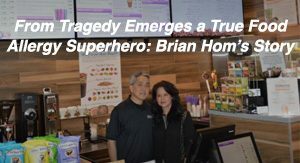 I noticed on their website that they have a link to “Food And Allergen Sensitivities Menu And Gluten-Free Selections”. However, the link only takes me to their nutrition information, which doesn’t list anything having to do with ingredients. Good advice when you decide to dine out. The fact that chefs cook things differently definitely is something that should be watched for.